God does not like UGLY. For God not to like ugly, then I must be doomed, for I am told that I have the face only a mother could love. Well I'm not that bad looking, but how could God not like ugly? We hear this term used often today, especially when someone was wronged by another, so what does it really mean? The phrase "God does not like ugly" has nothing to do with outer appearance of an individual but rather it speaks about our soul that becomes stained from sin. Once saved always saved is not a belief of Catholics. To assume that you can never lose favour with God once you become a Christian is very dangerous. The conditions of discipleship as instructed by Jesus is that we are to deny ourselves, pick up our cross daily and follow him. God is a God of mercy and justice, he knows that we will stumble along the way but wishes for us to get up, ask for forgiveness and seek His help to follow His way. Do not judge someone because they stumble, even if you know that they claim to be a Christian. Jesus tells us to stop judging others, for just as we judge we will be judged, and the measure with which we measure will be measured out to us. God does not look at the outer appearance of man, but rather he looks at our hearts. What we do and say can have an adverse affect on someone, positively or negatively. "I tell you, on the day of judgment people will render an account for every careless word they speak." Mt 12:36. Sitting around talking idly about someone that may involve uncharitable and inappropriate innuendos is what can be termed gossiping. I'm not hurting anyone by talking about them so what's the harm? 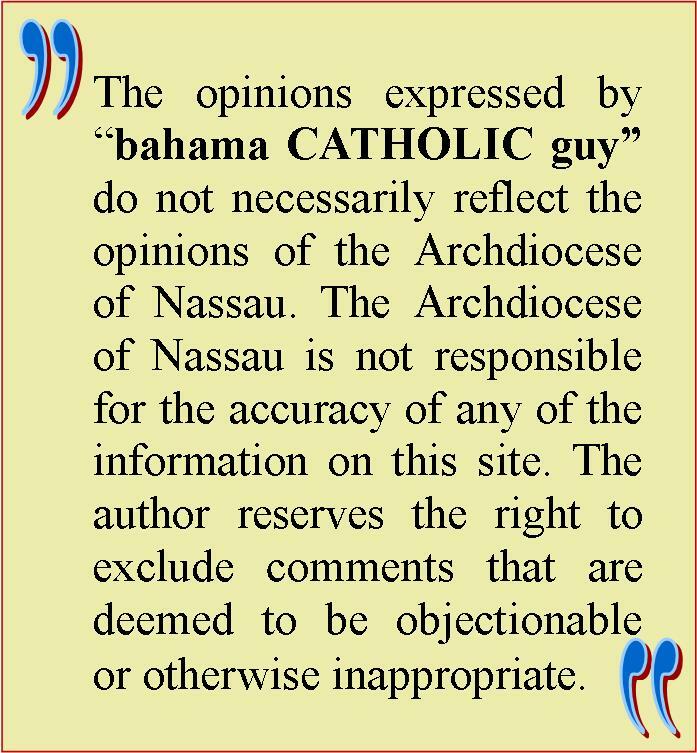 Actually there is harm and the Catholic Church sees this as a breach of the 8th Commandment, "You shall not bear false witness against your neighbour." There are many forms of gossiping, that includes: reviling, backbiting, tale-bearing, derision, and cursing. Of the many gossip tactics I feel that the ones that can be commonly identified within society is backbiting and tale-bearing. Backbiting is thought of as someone speaking behind someones back in the hope of injuring a person's good name. Defamation and detraction are two forms of backbiting that should be addressed here. To defame someone by backbiting is telling lies about that person behind their back. The sin of detraction is telling an unkind truth about someone. But hey, it's the truth you might say, but the keyword we should bear in mind is that it is "unkind." Tale-bearing is so common that we can see its head rearing in our work places. Even though it may sound the same as backbiting, they are actually quite different. Tale-bearing is referred to as stirring up trouble, thereby provoking people to act against another person. 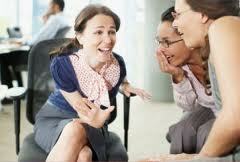 The gossip is told in a way that it incites anger toward the person gossiped about. I tend to look at it as story telling in a way that makes it so juicy that it becomes malicious; for the intent is to make the person you're speaking too take some form of action towards the person gossiped about. Gossip can be considered a venial or mortal sin, and we know how many mortal sins it takes to send our souls to hell; that's right one. Casually speaking of information about an individual is a venial sin. 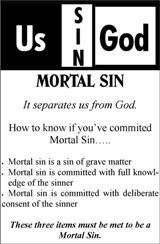 It is when the information revealed becomes damaging that it now becomes a mortal sin. Would you want to know that your gossiping contributed to someone committing suicide. Once we release words from our mouths we can not take them back. 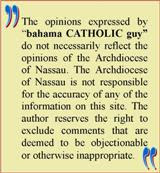 The talk is always that, the Catholic Church is full of rules to remember. If you follow the law of Jesus then you have followed the rules, period. The Catholic Church did not make them up; they emphasize them to keep us on track. A story is told about a lady who went to confession and disclosed that she gossips and gossips, so here is what the priest proposed to her. He told her to take a pillow to the top of this particular tower in town. When she gets to the top of the tower she is to cut open the pillow and let the feathers go everywhere around the city. Afterwards he instructs her to then go and pick up every feather and put them back in the pillow case. She thought he was crazy, because there was just no way she would get them all back. Well just as it is difficult to get back all of the feathers it is difficult to get back all of the hurt that we cause with our gossip. CCC 2488, The right to the communication of the truth is not unconditional. Everyone must conform his life to the Gospel precept of fraternal love. This requires us in concrete situations to judge whether or not it is appropriate to reveal the truth to someone who asks for it. So have you felt ugly in the sight of God lately? I feel ugly all the time.